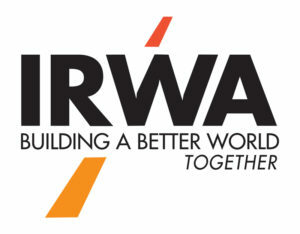 IRWA offers two career paths for Right of Way Professionals: An industry generalist path and a specialist path. Under the industry generalist path, a Right of Way Professional progressively earns the following certifications: Right of Way Agent Certification (RWA), Right of Way Professional Certification (RWP), and Senior Right of Way Professional Designation (SR/WA). Changes have been rolled out as of January 2016: There are now four industry tracts within the generalist three-tier category. They are: 1) Oil and Gas; 2) Electric and Utilities; 3) Transportation; 4) Industry Generalist. Under the specialist path, Right of Way Professionals can earn certifications in six right of way disciplines: R/W-AC Appraisal Certification, R/W-AMC Asset/Property Management Certification, R/W-NAC Negotiation and Acquisition Certification, R/W-RAC Relocation Assistance Certification, and R/W-URAC Uniform Act Certification. Right of Way Professionals can work toward certification in both the industry generalist path and the specialist path at the same time, as well as earn multiple specialist certifications. However, the industry generalist path is a progressive path based on years of experience and education criteria. For additional information on Credentialing, see links in the panel on the right or contact Chapter 20’s Professional Development Committee Chair.